Marble Kitchen Countertops - Consider Marble Countertops In Your Kitchen | Fiberpol. 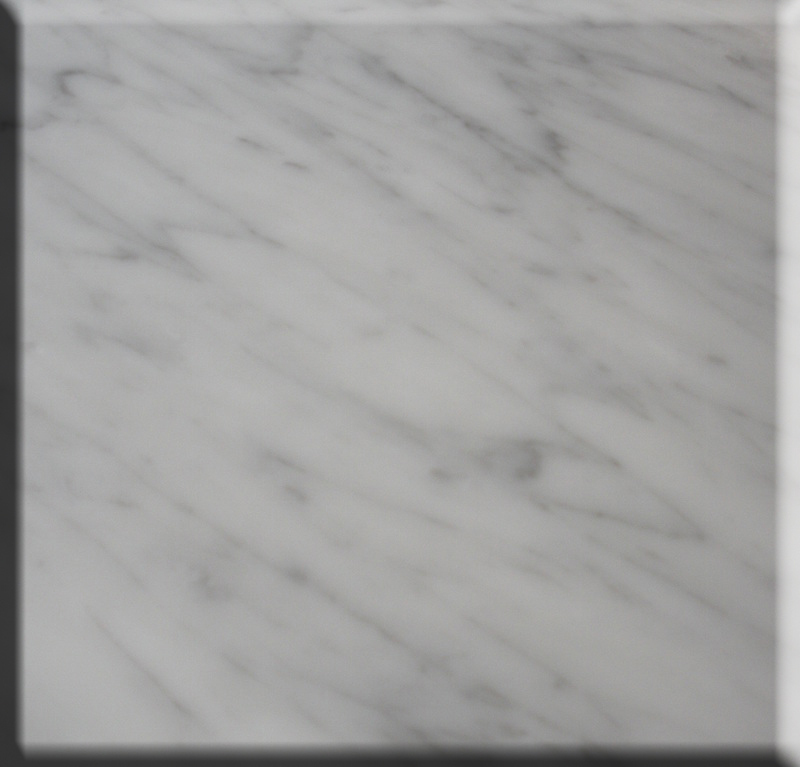 Inc.
What is Marble and Travertine? 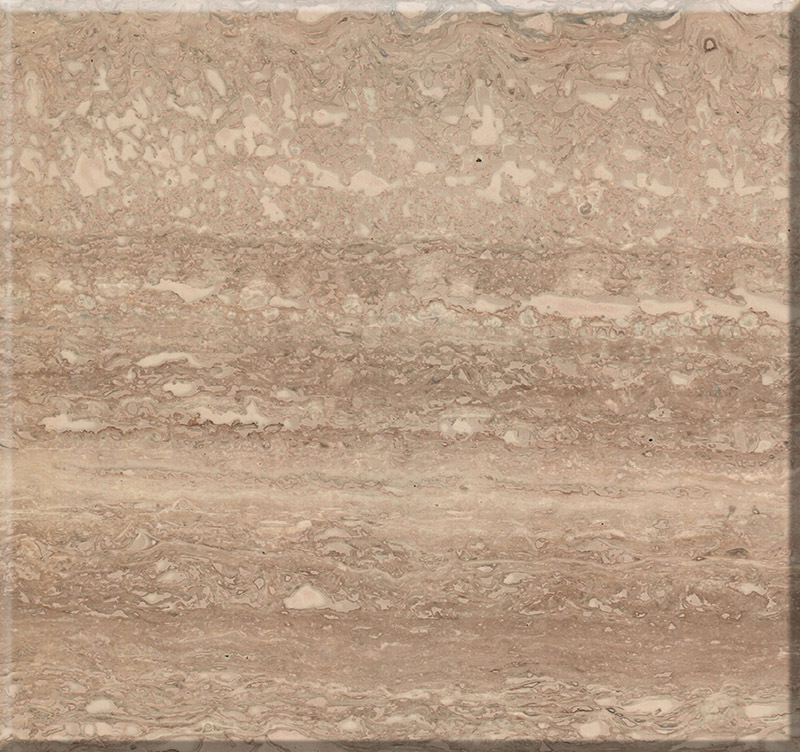 While much of the popular, harder stones, such as Granite and Quartz, were formed under extreme conditions by volcanic activity, the softer, gentler Marble and Travertine were formed through years of precipitation, as a result of sediment and minerals being separated in hot springs and caves. 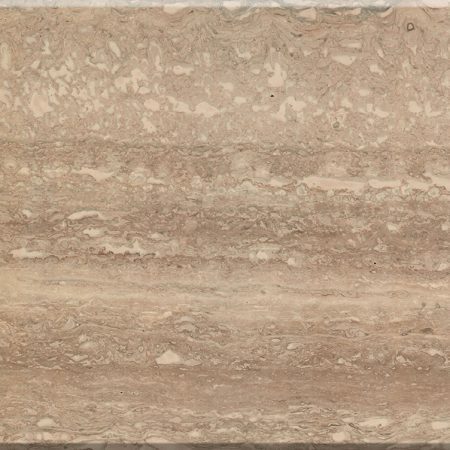 These beautiful surfaces range from the traditional, white/grey marble with dark streaks to the classic travertine with its tans and earth tones. 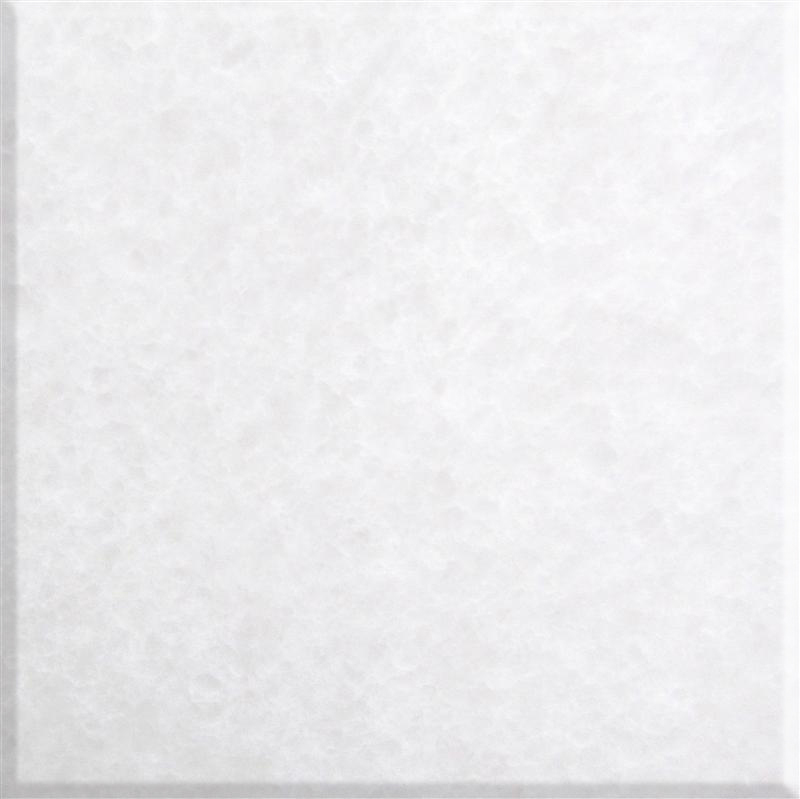 They can be found in many attractive bedroom, bathroom and commercial applications worldwide. 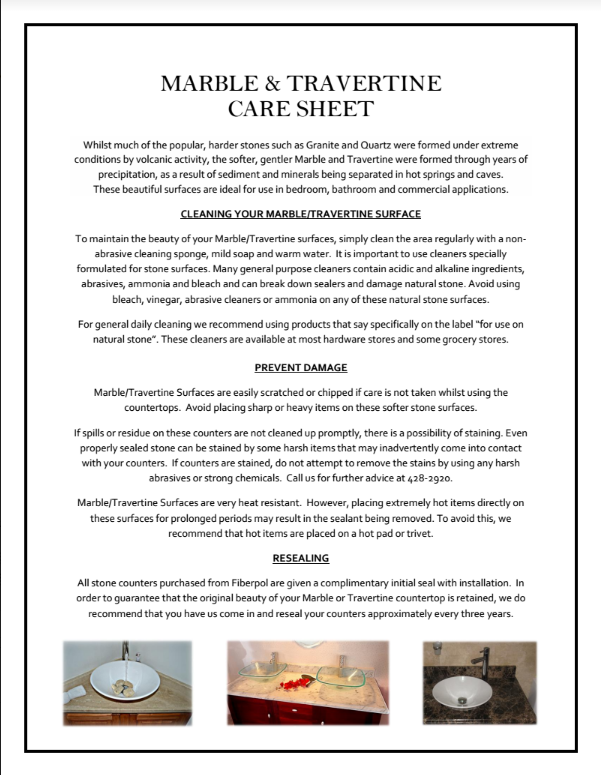 To maintain the beauty of Real Marble/Travertine work top surfaces, simply clean the area regularly with a non-abrasive cleaning sponge, mild soap and warm water. It is important to use cleaners specially formulated for stone surfaces. Many general purpose cleaners contain acidic and alkaline ingredients, abrasives, ammonia and bleach and can break down sealers and damage natural stone. 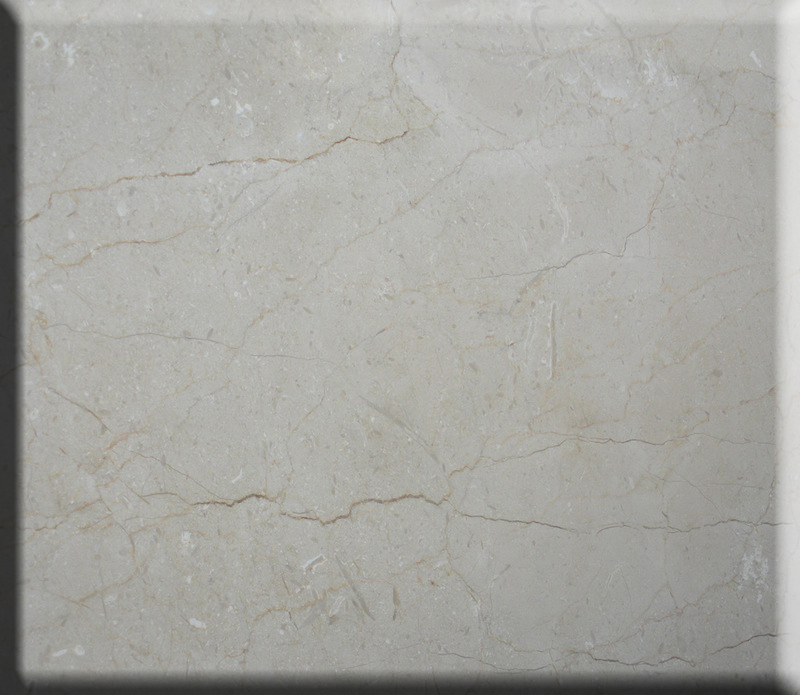 Avoid using bleach, vinegar, abrasive cleaners or ammonia on any of these natural stone surfaces. For general daily cleaning, we recommend using a product that says specifically on the label, “for use on natural stone.” These cleaners are available at most hardware stores and some grocery stores. Give us a call at (246) 428-2920 for further information on these products. Real Marble/Travertine counter tops can be easily scratched or chipped if care is not taken while using the counters. Avoid placing sharp or heavy items on these softer stone surfaces. 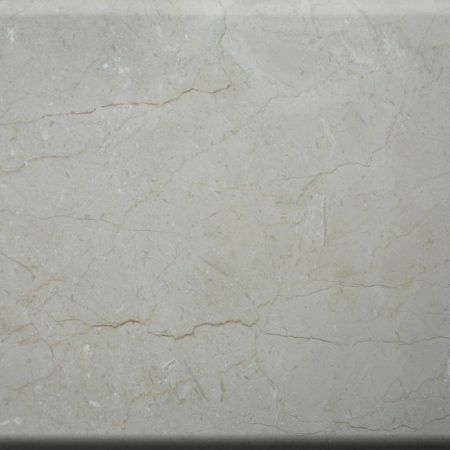 Real Marble/Travertine Surfaces are very heat resistant. However, placing extremely hot items directly on these surfaces for prolonged periods may result in the sealant being removed. To avoid this, we recommend that hot items are placed on a hot pad or trivet. If spills or residue on these work tops is not cleaned up promptly, there is a possibility of staining. 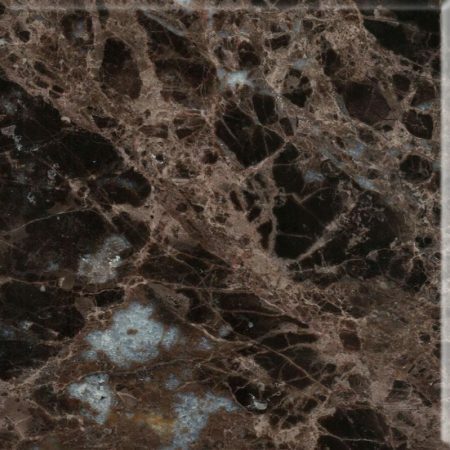 Even properly sealed stone can be stained by some harsh items that may inadvertently come into contact with your counters. If counters are stained, do not attempt to remove the stains by using any harsh abrasives or strong chemicals. For general daily cleaning, we recommend using a product that says specifically on the label, “for use on natural stone.” These cleaners are available at most hardware stores and some grocery stores. Remember to reseal after using these products. Call us at 428-2920 for any further advice required. 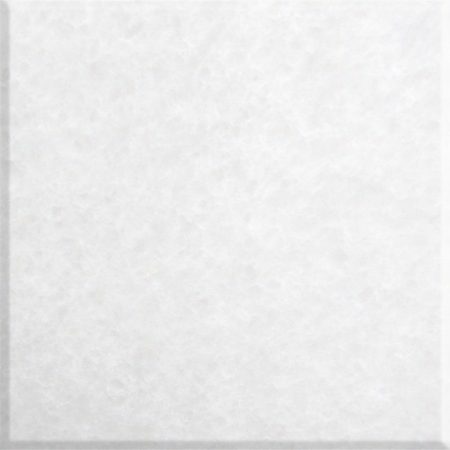 All stone counter tops purchased from Fiberpol are given a complementary initial seal with the installation. In order to guarantee that the original beauty of your Real Marble/Travertine is maintained, we recommend that your counters are resealed approximately every three years. Fiberpol offers you this service. Fill Out the Form & We Will Get It To You!